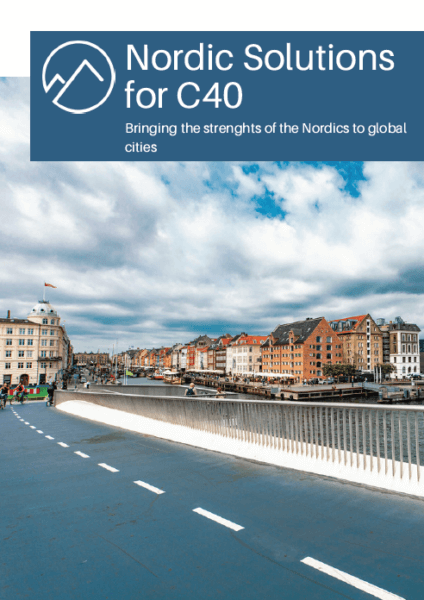 Nordic Solutions for C40 is an initiative that links Nordic companies and cities facing climate change challenges. 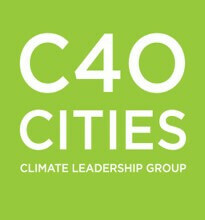 Engaging with international cities that demand and procure sustainable solutions. Facilitating the involvement of Nordic companies international projects. We are also happy to announce that we now have an online co-creation platform where we will update you with the latest information regarding each city challenge and where you have the opportunity to get in touch with other companies and challenge owners! We are a group of Nordic partners that strongly believe in the innovative power of the Nordics and we want to support the export of their solutions to global cities. We have developed a strong relationship through activities at the Barcelona Smart City Word Congress and Expo, Smart City New York Expo, and we have also together organised the Sustainable Urban Solutions Conference in Copenhagen. Click on the button below if you want to be active in our opportunities and join the online co-creation platform! Have a look at our flyer for a brief introduction of the platform and its opportunities for companies.